We have two unique spaces for hire – our beautiful ‘wedding cake’ church in Portland Square, and our studio rehearsal spaces in Kingswood. 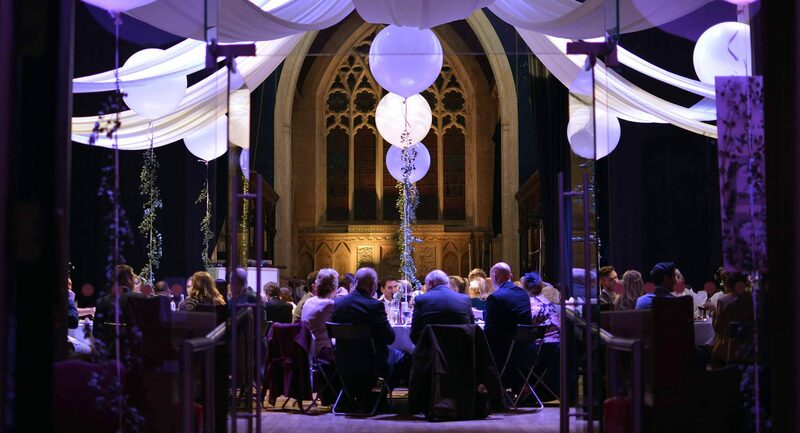 A grade 1 listed building in a conservation area, St Pauls Church is a perfect city centre venue for your wedding reception, private party, corporate workshop or conference. Built in the 1790s, the church was restored through an awarding winning collaboration between The Churches Conservation Trust and Circomedia. Our professional events and front-of-house team are on hand to make your family celebration or conference memorable and unique. The church is also home to our BTEC students, our youth circus and evening classes, and our performance programme of international circus, dance, and theatre. If you’re a performer looking for a rehearsal studio, or for research and development space, you can hire one of our four studios in Kingswood. Each studio offers a range of equipment and rigging possibilities and we will be happy to discuss your specific requirements with you. Both our FDA and MA students train at our Kingswood site, and we also host a number of artists and companies here as part of our artist support work.